How do you review your books? Do you review them right away as soon as you finish reading them? Or do you let them wait a bit and do you ever fall behind? I typically write my reviews before I start another book. The last few weeks I've been in a funk and now I have a whole bunch of reviews to write. I do hope to get caught back up over the next few days. Normally I write my reviews right after I finish the book. I'm still in the manga funk. I did fall in love with comic books. 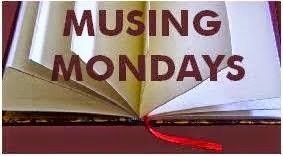 Grimm Fairy Tales by Multiple authors. For over two hundred years the powerful stories of the Brothers Grimm have enchanted millions around the world but there has never been an adaptation as intriguing or provocative as this. 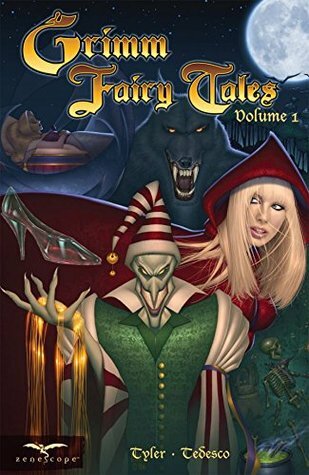 Grimm Fairy Tales volume 1 explores a much darker side of the infamous fables you heard as a child as these classic tales are retold and re-imagined with a terrifying twist you'll simply love as an adult. Red Riding Hood is forced to confront the insatiable hunger of terrifying beast; Cinderella seeks a shocking vengeance for the years of torture she's endured; Hansel & Gretel realize that the problems they left behind at home are nothing compared to the horror that awaits them on their ill-advised journey; A desperate girl makes a deal with the hideous Rumpelstiltskin only to find she may lose much more than she ever imagined; Sleeping Beauty learns that narcissism can be a very gruesome trait to possess and an envious sister finds her extreme measures to capture the man of her dreams may lead to much worse than just heartbreak from the Robber Bridegroom. Enter a world where morality is constantly tested and the shocking repercussions of one's choices must always be faced. Enter the world of Grimm Fairy Tales. I'm still looking for just the right manga. I'm always looking for suggestions too. Anyone else reading a Manga this week? I wish I could write my reviews before moving on to the next book. I'm so behind on my reviews because I just always have to have a book and can't write that quickly or have no motivation to do so.